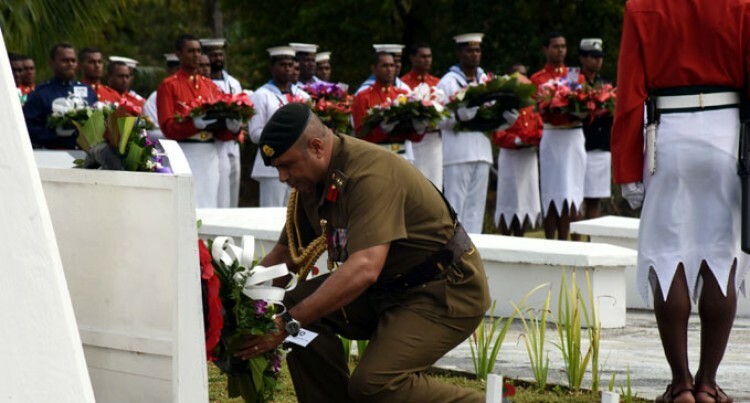 This year, not only marks in history the first ever commemoration service to be held in Fiji but falls within the 70th anniversary of the United Nations (UN) to honour the invaluable peacekeeping services of the Blue Helmets in various missions under the UN banner. The significance of this day is to reflect and remember our loved ones who had paid the ultimate sacrifice at the expense of peace worldwide. Since the first deployment to UNIFIL in Lebanon in 1978, Fiji has lost more than sixty brave and courageous men in peacekeeping and todate we shall remember them. As a former Military Officer, I could only share the difficulties I had toiled in a different environment far away from home to bringing peace and stability to those who needed them. Despite all the challenges, I could say that Fiji’s reputation over the years had strengthen our commitment to peacekeeping which we now reaping its benefits. Peacekeeping is now a bargaining tool for Fiji as it further strengthen relations and establishes new friendship with developing and developed countries, and is the cornerstone of our foreign policy agenda. As Minister responsible for Defence, National Security and Immigration I salute those national leaders who envisioned noble endeavor in the early years of our nationhood. In the changing security paradigm, the involvement of the Fiji Police Force and the Department of Corrections as peacemakers consolidate our continued efforts and dedication towards peacekeeping. I applaud the succeeding national leaders for maintaining our commitment to the United Nations. I am optimistic that we will reap the benefits of this commitment in the in the near future. Lastly, I share the grief and agony of the families of the many lives we had lost from the various theaters of operation. Todate brings a memorable event that will rejuvenate their legacy in the price of world peace.